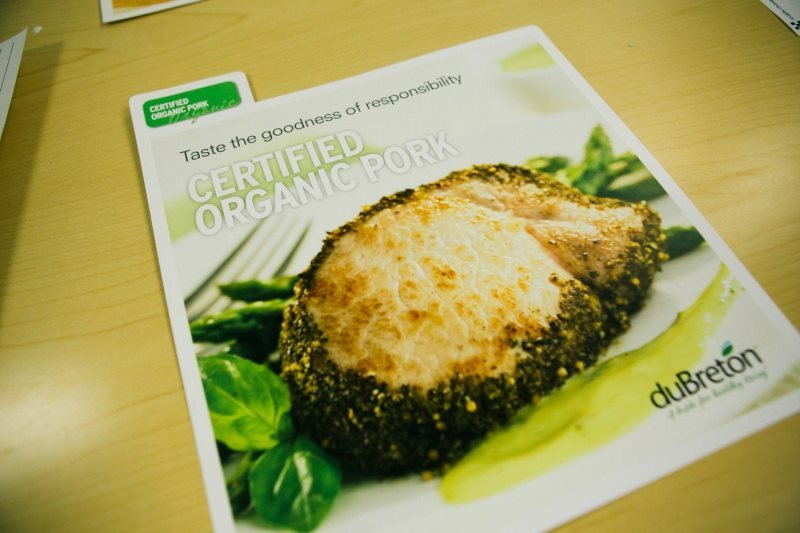 Austin Meat and Seafood Company distributes quality pork products that are "Certified Humane", how they are Raised and Handled. We carry both all natural and organic cuts from the finest growers in the United States and Canada. We carry brands such as DuBreton Farms, Meadowbrook Farms, Conestoga Farm Fresh Pork and Indiana Kitchen.Austin Meat and Seafood Company also distributes the worlds finest pork; "Exquisite Kurobuta Pork" from Snake River Farms. Snake River Farms, well known for its premium American Kobe beef, is now producing American Kurobuta pork. Kurobuta (Japanese black hog) is 100% pure all-natural Berkshire Pork.Austin Meat and Seafood Companies "naturally raised pork" products mean—no growth hormones, additives or animal by-products in the raising of the hog. A "naturally raised" product means a leaner, healthier and more flavorful bacon, and pork products to the consumer. We're sure you'll enjoy the unique flavor and delicious taste that comes from our products. Austin Meat and Seafood Company offers a full line of pork for all your culinary needs.